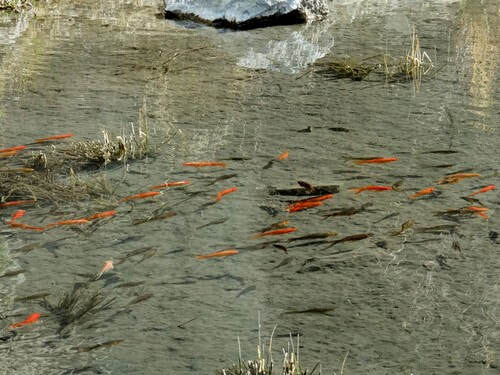 A population of goldfish flourish in the runoff water of an old mine. 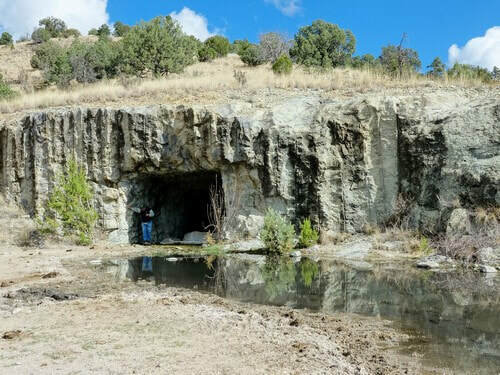 The story is that this mine was so long and deep that it was no longer feasible to pump it dry for mining, and it was abandoned. 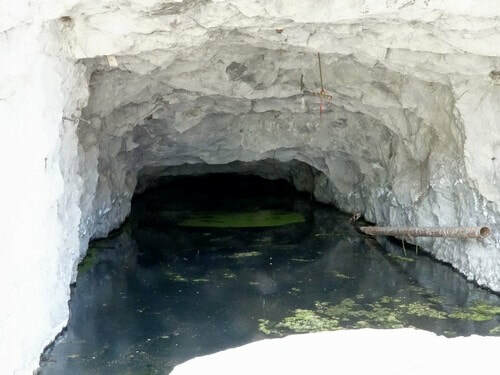 The mine filled with water and the constant overflow now runs out the mouth and forms a small year around pond. At some time after the closure goldfish were dumped in the little pond and they have survived and reproduced ever since. 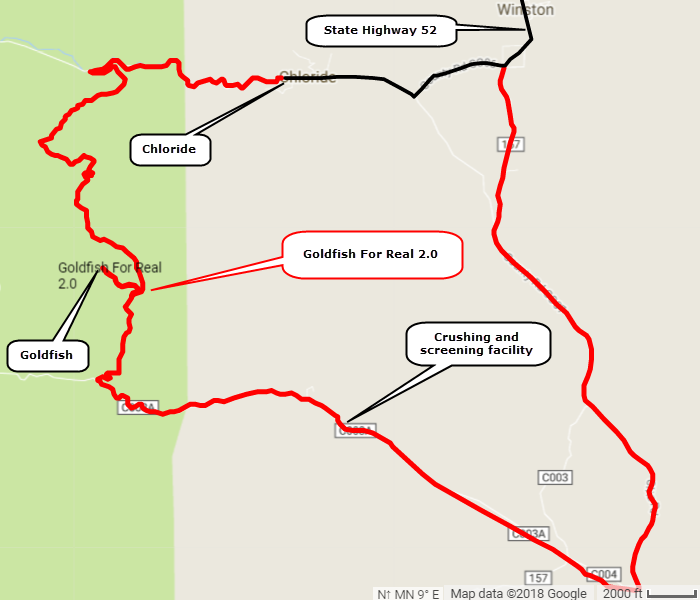 It is highly unusual to find goldfish in "the wild". St. 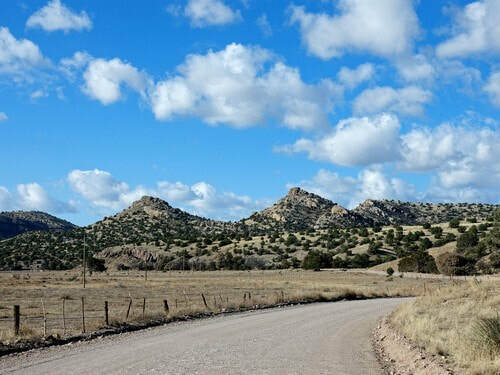 Cloud Mining has an active zeolite mine along the road leading to the goldfish. 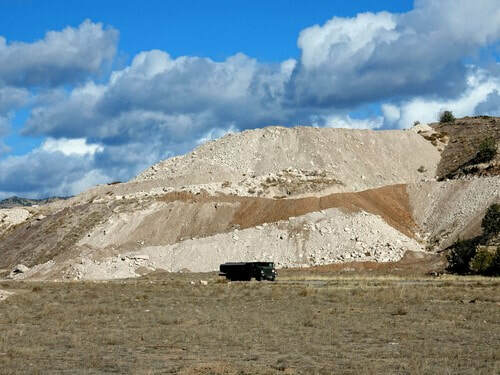 Zeolites are microporous, aluminosilicate minerals commonly used as commercial adsorbents and catalysts. 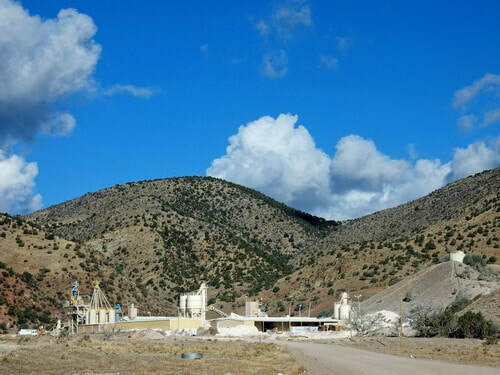 Pass by a crushing and screen facility built in 2015. 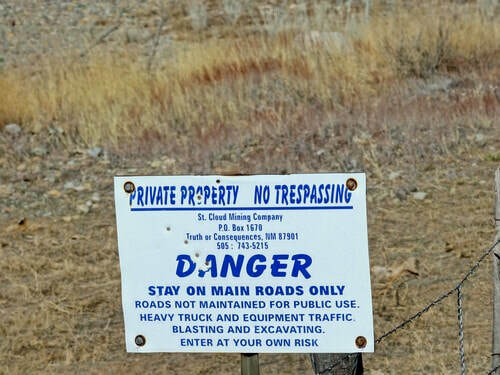 This sign may make you wonder if the road is open. I checked at the plant office and was assured it was OK to access USFS land through this gate. Goldfish live in a small pond formed from overflow from the mine. There do not appear to be any fish inside the mine. 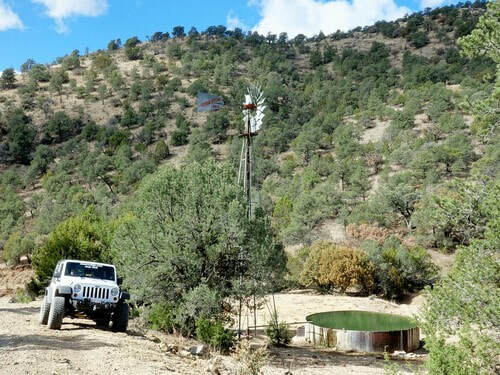 There is a functioning windmill along the trail. 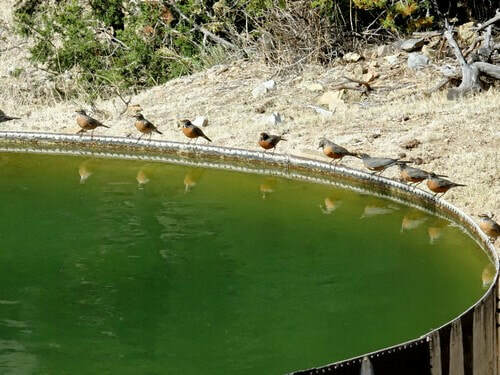 The water benefits both cattle and wildlife, including robins.